A sensation of ear fullness followed by tinnitus is one of the more common ways which characterize the onset of the condition where ringing sounds are audible in the ear or head regions. Tinnitus as a medical condition can be brought about as a result of several wide ranging health issues. Tinnitus often manifests as a symptom of a problem that lies elsewhere. Many times tinnitus is a result of a problem in the general area of the head, auditory canal or nasal regions. 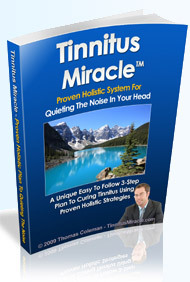 Tinnitus is often associated with or follows a sensation of ear fullness. The state of ear fullness itself can arise because of several reasons. While some of these reasons are simplistic and contains a simple cure, others have a deeper problem and in such cases the issues involved are more complicated. Any case of ear fullness followed by tinnitus should be examined by a professional doctor first in order to establish a definitive cause. There are some commonly established reasons that can cause feelings of ear fullness as well as tinnitus, either simultaneously or subsequent to the ear fullness. · A simple situation of excessive ear wax that acts like a blockage, creating a feeling of ear fullness as well as magnifying low frequency sounds inside the ear canal, giving rise to tinnitus sounds. · In cases of ear fullness caused by ear wax, tinnitus sometimes follows as a natural consequence after an incorrect manner of ear wax removal. Ear wax removed incorrectly may lead to an infection or even damage to the delicate nerve endings that line the walls of the ear canal. The consequential damage can give rise to tinnitus sounds. · Any sinus related problem can often create a sense of ear fullness and possibly lead to the onset of tinnitus because of various reasons. · Meniere’s disease that effect the inner ear can also lead to the onset of tinnitus. A sensation of ear fullness among other symptoms is often associated with this disease. Tinnitus can manifest as a symptom of this disease alongside the ear fullness or soon after. · Dental problems such as a jaw joint disorder etc can also lead to a sensation of ear fullness followed by tinnitus. Aside from these common factors there could be other situations that lead to ear fullness followed by tinnitus . To find a lasting solution to the problem it is recommended that a doctor’s advice be followed along with a holistic evaluation and treatment of the entire body.